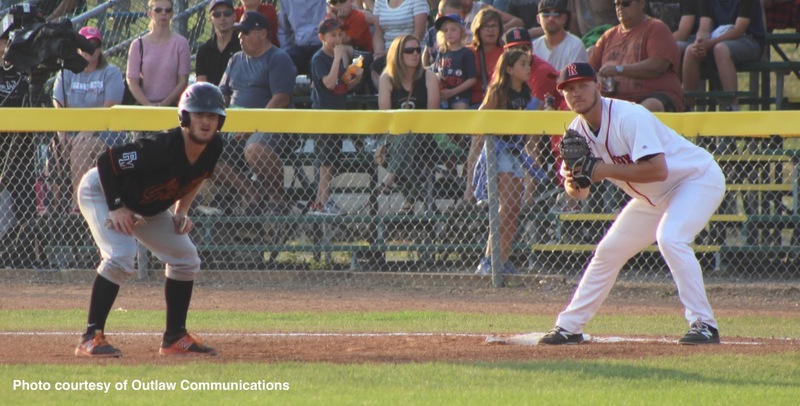 The Regina Red Sox defeated the Fort McMurray Giants 8-4 in front of 985 fans at Currie Field on Wednesday. Regina starter Jordan Scott picked up his fourth win of the 2017 campaign. Scott a junior from Liberty University threw 113 over seven innings. His only blemish was two runs on seven hits. Trevor Bauer, the senior from Waldorf University, took the loss after giving up seven runs on eight hits over 5.1 innings. Max Hewitt and Evan Willow and Corey Conklin all had a pair of hits in the loss. Jordan Schulz provided an offensive spark for the Red Sox. The Saskatchewan born Schulz had three hits including a double, two runs scored and two stolen bases. With the win the Red Sox kept pace with Swift Current for top spot in the Eastern Division. Regina has Thursday off before heading to Swift Current on Friday for a first place showdown.